Marvel continues to show they can have movie success even with characters not known to mainstream audiences. Not as good as the other Marvel's obscure character driven movie Guardians of the Galaxy, it however easily beats out Avengers 2: Age of Ultron as the best Marvel movie thus far for 2015. 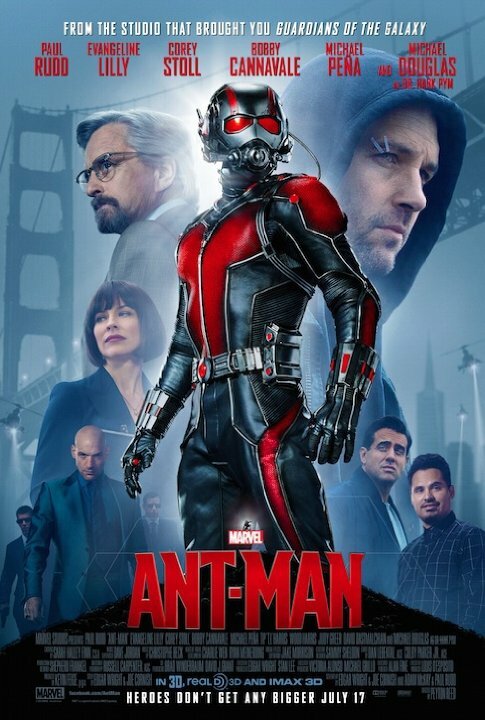 Ant-Man's full of humor and intense action, Paul Rudd shines as the lead character Scott Lang, thrown into the world of corporate espionage and super hero tights unwillingly. I am a fan of Paul Rudd's movies especially his last comedy, They Came Together. I thought it was an odd choice that they chose to go with Scott Lang as the primary Ant-Man character and Hank Pym as his mentor. If you follow the comic books you know that Hank Pym was more of Tony Stark and Steve Roger's peer than Scott Lang. 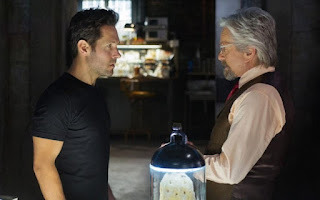 Instead we get an aged Hank Pym played nicely by Michael Douglas who along with Paul Rudd has a nice dynamic mentor and super hero in training relationship lacking in the other Marvel films. Evangeline Lilly mean while continues to show that Marvel is full of strong woman characters in playing Hope. 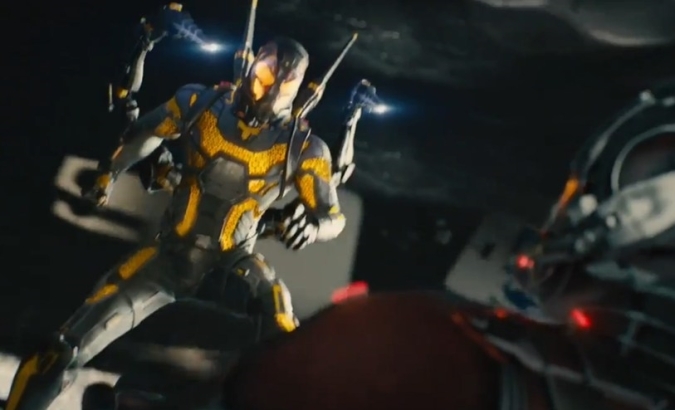 The only character I felt lacking was the antagonist Darren Cross played by Corey Stoll. While he played the often at edge borderline villain well, I thought it would have actually benefited his character to be more off the edge. As far as villains go, he paled sharply in comparisons to the likes of Tom Hiddleston's Loki or even Mickey Rourke's Ivan Vanko as examples. As well the film at times felt a little long even for a Marvel film especially early on as the filmmakers are developing Scott's character as well as when he is training. While Michael Peña's character contributed to the film, T.I. 's contribution is questionable to the story. Overall, I would highly recommend the film. I came in to the film with low expectations and was pleasantly surprised. The humorous dialogue mostly from Paul and Michael with amazing fight scenes between Ant-Man and his nemesis as well a certain flying Avengers makes this a must see. The film makes certain references to the other Marvel superheroes including ones that have yet to show up will have you whetting your appetite. As usual stick around as the credits roll and after for two bonus scenes. 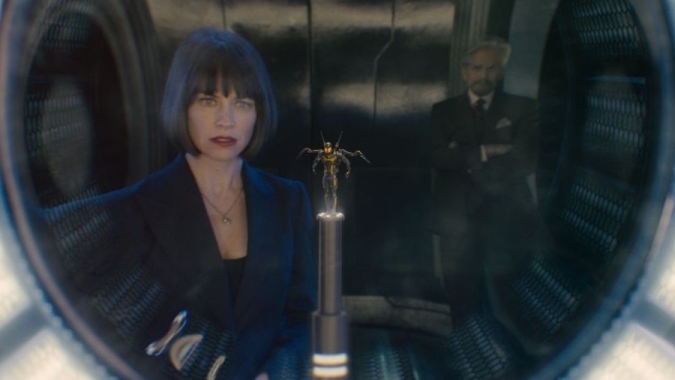 The first one (spoilers, highlight the text to read) is Janet Van Dyne getting a Wasp suit for Hank, and the second a lead in, into Captain America: Civil War.